Urban Archeologist: Your Papers! Please! 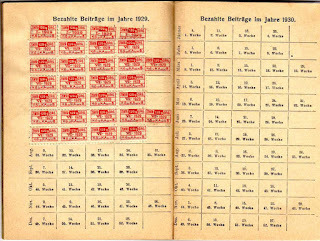 Life wasn't all sunshine and chocolate if you lived in Germany in the 1920's. 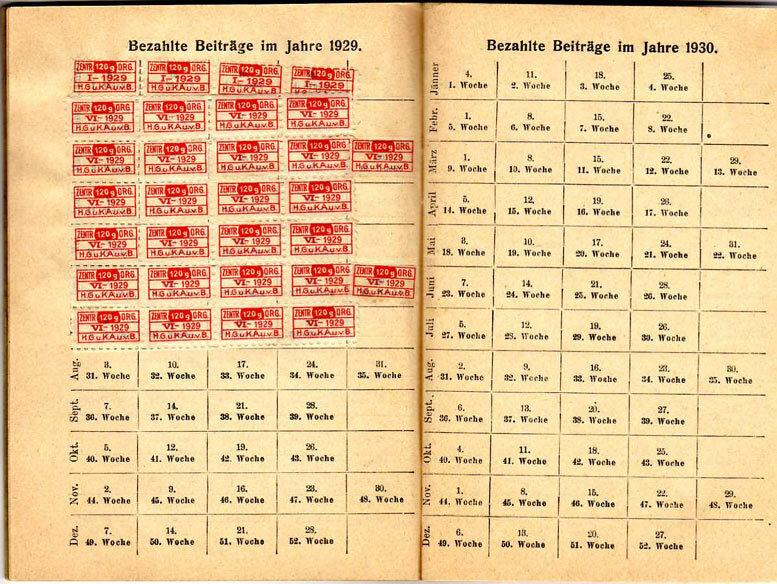 WWI left much of Europe's nations in dismay, but Germany was economically destroyed. 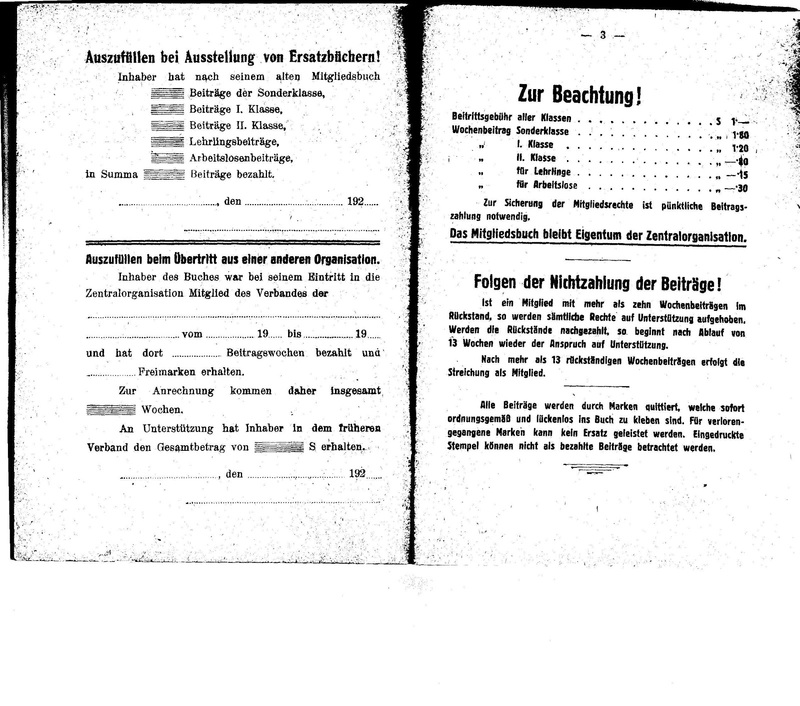 Forced to make reparations for their role in WWI and a political deadlock caused serious hyper-inflation. This would eventually pave the way for the Third Reich to come to power. 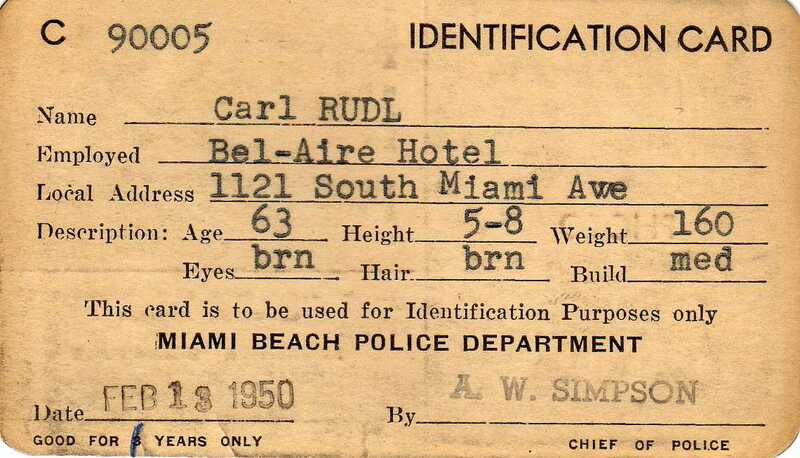 If you were able-bodied in your 40's you might do what Carl Rudl did - get out. 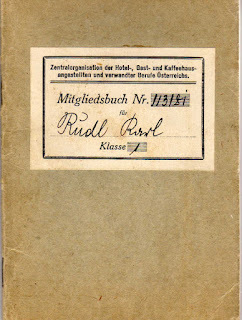 He may have been tired of paying dues to the Union of restaurant employees, or this may be a member book for taxes on employment. Care to translate? 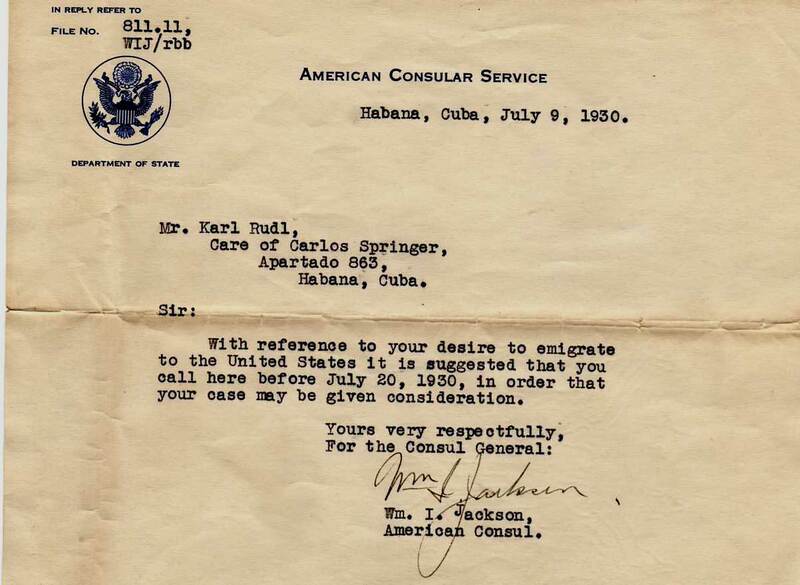 It seems Carl could only take 7 months of this and said, "You know, Cuba is where I should be." He may have moved down to Cuba to stay with family or friends and find work in his preferred profession of restaurant service. While there he might have thought that the USA was the place to find work. 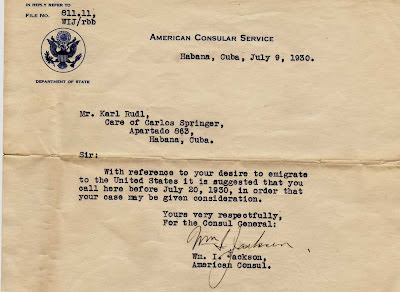 A visit to the American consulate was the way to begin the emigration process to the US. and it must have been successful after a time because Carl appears to have been working at the famous Waldorf-Astoria in NYC. 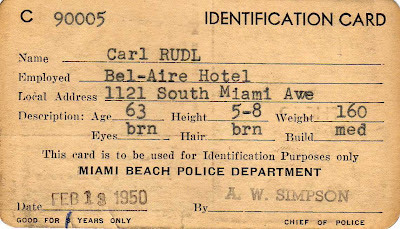 Although it is hard to tell if Carl was a permanent employee at the Waldorf, or just an "extra" the papers I found in this collection allowed me to make an interesting connection that you can read in a previous post HERE. 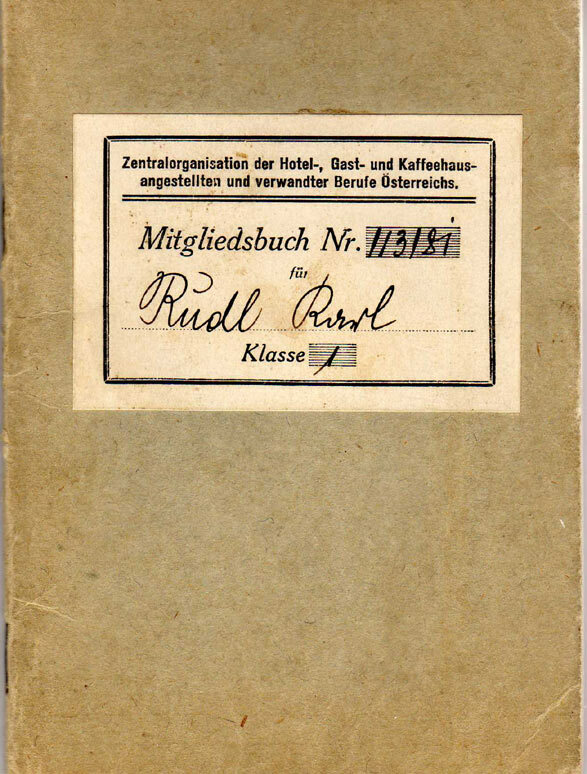 But I am not done with the history of Carl Rudl through his papers. In 1950 he moved maybe temporarily to Miami to work there. 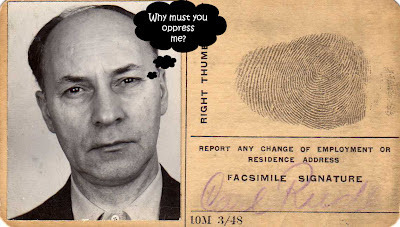 But in order to do this in the suspicious 50's, not being a naturalized American he was subjected to registering as a working foreigner. With as many years experience as he had, I would guess that the Bel-aire was happy to have him. He looks nothing but put-upon in his picture. Well, there you have the brief synopsis of the life of Carl Rudl. If you have anything to add to it please share it in the comments. I did a quick ancestry search on Karl (Carl) Rudl since I find the ancestry information so interesting. I'm very involved in doing the genealogy of my family. There is a 1940 census record that shows Carl Rudl lived in Astoria, Queens, with his wife, no children, just over the bridge from Manhattan. 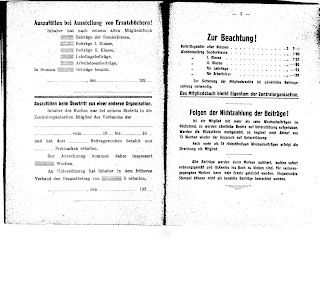 Also, he was born in December, 1886 in Austria "Germany" at the time and died in July 1974 in Astoria Queens. There is a ship's manifest that has him arriving July 22, 1930, so he didn't waste any time traveling to the US, according to your papers. I wish I had found someone else with Karl on their family tree so I could share your documents, but there are no trees and no one to contact. My husband and I have a friend who was born in Cuba, in the 1940s, whose parents were originally from Hungary. Cuba was one of the countries taking in Europeans who were fleeing the poverty and turmoil at the time. Like Carl, my friend and his family eventually came to settle in Florida and New York. Cuba was a big resort country where wealthy Americans went to vacation, so there were many hotels. I guess it was a good job for someone new in a country. Hope my info helps! I find it fascinating!